Who pays the tax depends on who paid for the savings bond. 3. Is Savings Bond Interest Reported As Capital Gains or Income? For most U.S. savings bond owners, the interest accumulates tax deferred until a bond is redeemed. The bank or U.S. Treasury will send you and the Internal Revenue Service a Form 1099-INT reporting the interest earned on a cashed-in bond. With co-ownership of a savings bonds, who declares the interest for taxes is based on several factors. The interest earned by a U.S. savings bond accrues to the bond's value and is paid out when a bond is redeemed. Unless a savings bond owner decides to take the option to declare for taxes the bond interest earned each year, the interest will grow tax-deferred. The interest becomes taxable either when the bond is redeemed or it reaches the final maturity value 30 years after issue, whichever comes first. 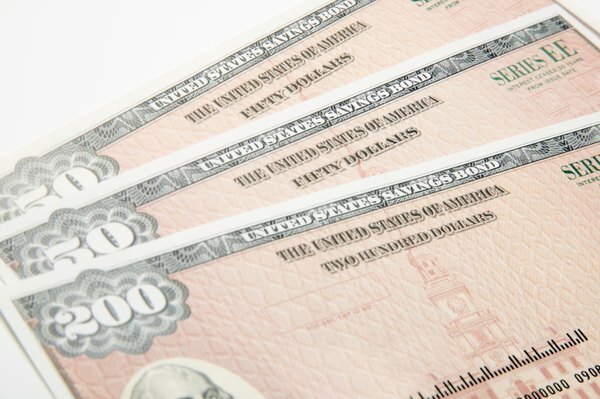 If there are two listed owners on a savings bond, the Treasury refers to the owners as co-owners. Each co-owner of the bond has equal ownership rights, including the right to cash the bond at any time. One co-owner can redeem the bond without the signature of the other co-owner. If one co-owner dies, the surviving co-owner becomes the single listed owner of the bond. The basic rule is that the person who paid for the purchase of a savings bond is responsible for paying the taxes on the interest. If one of the two co-owners paid for the savings bond, that owner is responsible for declaring the interest and paying the taxes. If the co-owners shared the cost of the bond, each will declare a proportional share of the interest earned for tax purposes. The 1099-INT for savings bond interest will be in the name and Social Security number of the co-owner who cashed the bond. If that owner is not the one responsible for paying the taxes on the interest, the co-owner listed on the 1099 should declare the interest on her tax return and claim nominee status for the interest. A nominee distribution is stated and claimed on Schedule 1 of the 1040A or Schedule B of the 1040. You would include the savings bond interest on the appropriate form and then subtract it as nominee interest, resulting in two lines on the form for the interest. The co-owner with the 1099 must also issue a 1099-INT to the owner who is responsible to pay the taxes. Forms 1099 and the instructions can be downloaded from the IRS website. The form you complete would show the same information as the one you received except with the name and Social Security number of the person who will pay the tax. Savings Bond Advisor: Who Pays the Taxes?